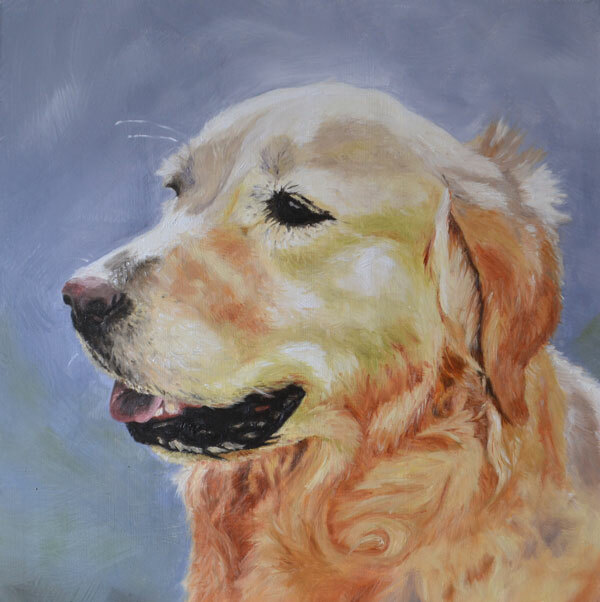 Oil on board, 12″ x 12″. 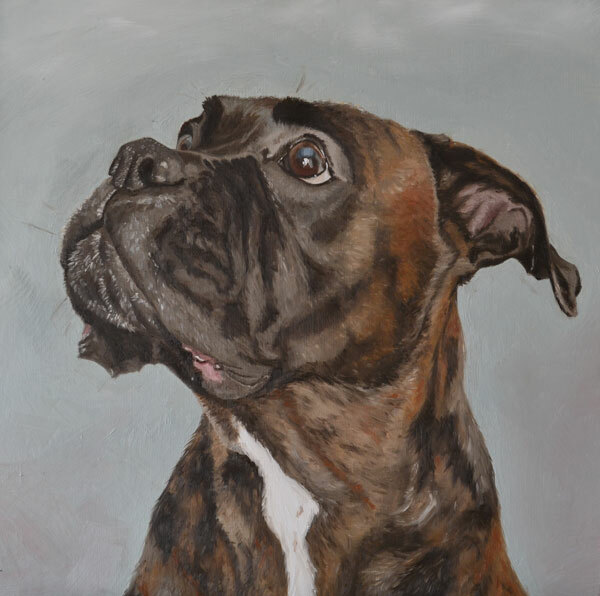 Bella is a gorgeous brindle boxer and is a bundle of energy! 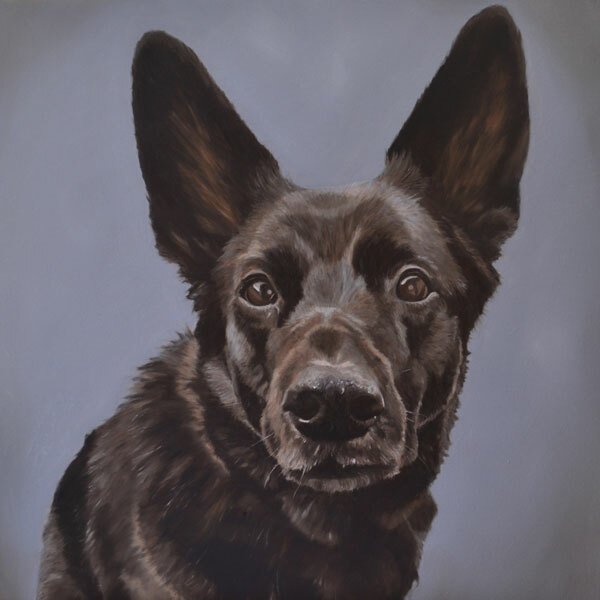 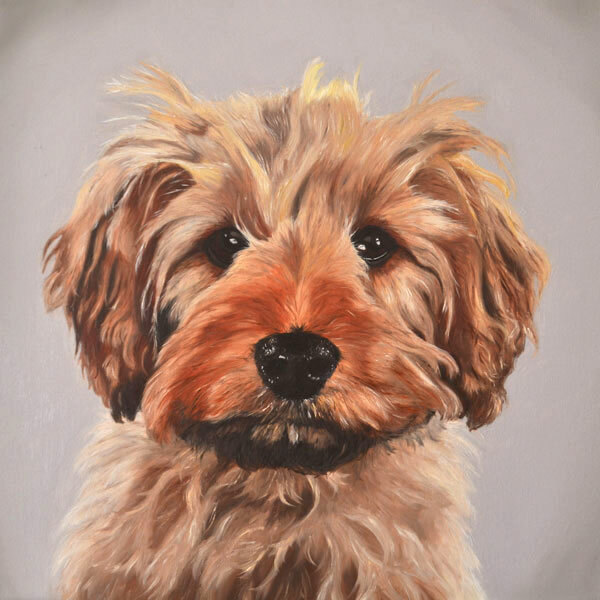 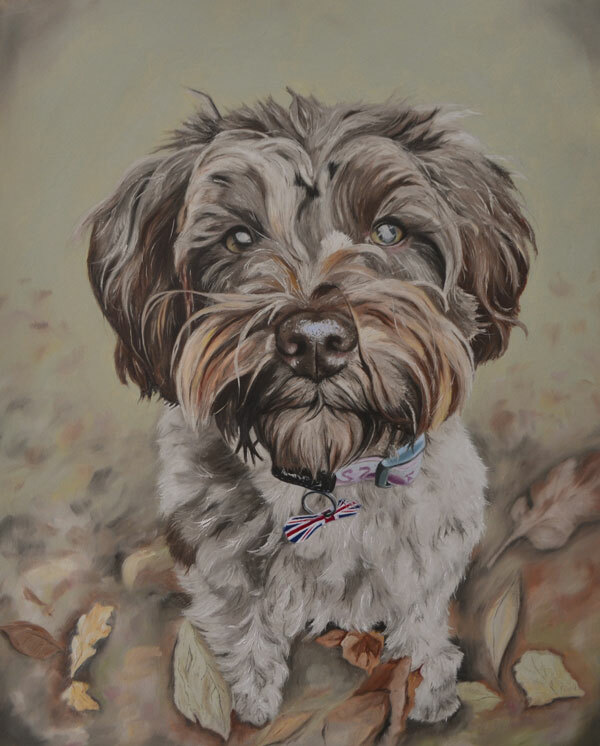 This portrait shows her looking intently at her owner, alert and ready to go.